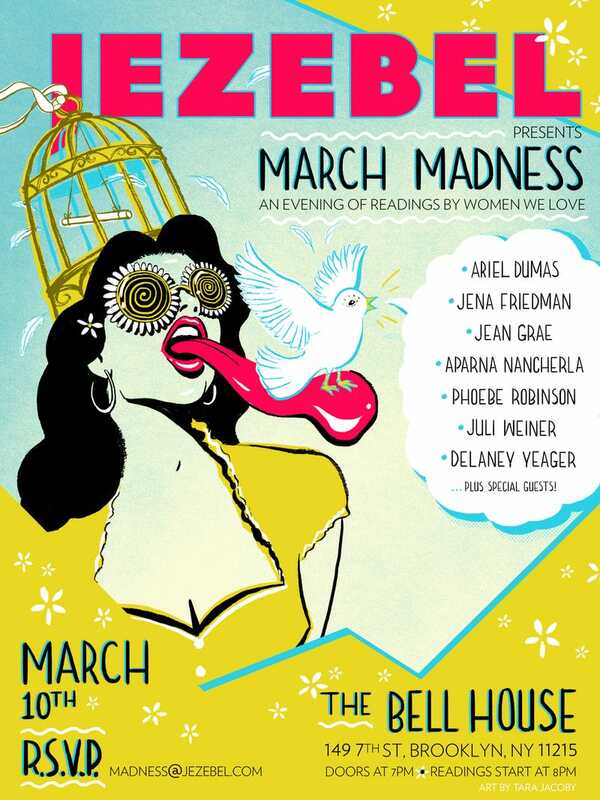 Next Tuesday, March 10th, Jezebel is hosting its first reading at The Bell House in Brooklyn. The topic: March Madness. The lineup: completely stacked. If you're in town and want to hang, RSVP to madness@jezebel.com. Admission is free, but space is limited, so get on the list so you can get in the door. Invite illustration by Tara Jacoby.